Working with horses provides therapeutic benefits for people undertaking treatment programs for mental health issues and addictions, research suggests. The findings of the 2014 pilot study were released by Canada-based researchers Colleen Dell, of the University of Saskatchewan, and Darlene Chalmers, of the University of Regina. 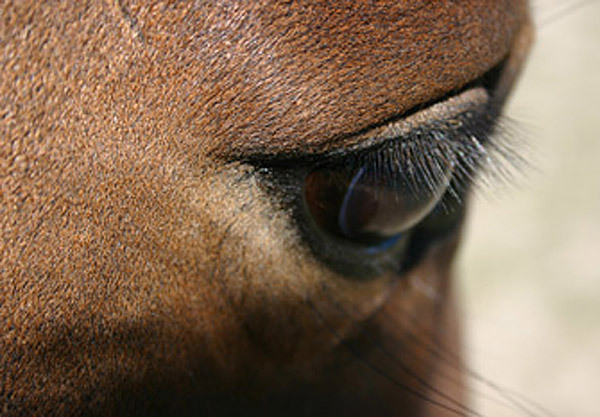 Their findings add to a growing body of evidence showing the benefits of horse therapy. In the study, 60 clients provided feedback on 287 sessions with horses in programs at four addiction and mental health treatment sites in Saskatchewan. Program facilitators and treatment site staff reported their observations as well. One program involved learning self-development skills through interactions with horses. Two focused on therapeutic horsemanship (riding and care of horses) for children and youth in residential care. The fourth involved a collaborative approach to psychotherapy involving a licensed therapist and a horse professional in addressing client treatment goals. Chalmers noted that a strong bond can develop between horses and humans, engendering mutual respect and trust and paving the way for improved relationships with other people. Previous studies of equine-assisted therapy have reported an increase in feelings of unconditional love and acceptance among participants, she said. The vast majority of clients felt calm, supported and in control of their feelings following the horse interactions, Dell added. Some were more willing to co-operate in treatment programs following the sessions. A teacher noted that students were more likely to be focused and motivated afterwards. The research project was funded from Dell’s University of Saskatchewan Centennial Enhancement Chair in One Health and Wellness, and was undertaken in partnership with organizations that run the horse programs: Cartier Farms, Twisted Wire Ranch, Eagle’s Nest Youth Ranch, and the Saskatoon Health Region’s Adult Mental Health and Addictions program in partnership with Nutana Collegiate. Next steps would be to undertake future research with a larger sample and to conduct a randomized control trial, Dell said. She noted that the horse and First Nations culture are historically linked, and that there is a need to more fully understand this connection. Dawn Rain, clinical social worker in Adult Mental Health and Addictions Services in the Saskatoon Health Region, said it was important to gain as much understanding as possible of the interventions offered. The latest work builds on the team’s research findings released last year on canine-assisted therapy.